SKU: PN1020. 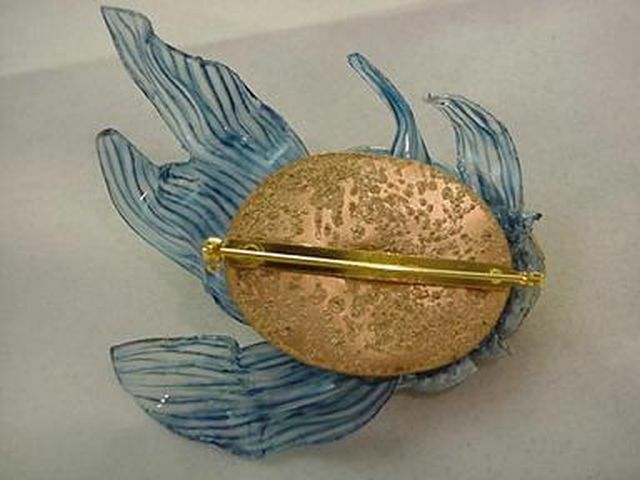 Category: Designers A - C, European Jewelry, Figurals, France, Pins, Plastic / Bakelite, Under the Sea. 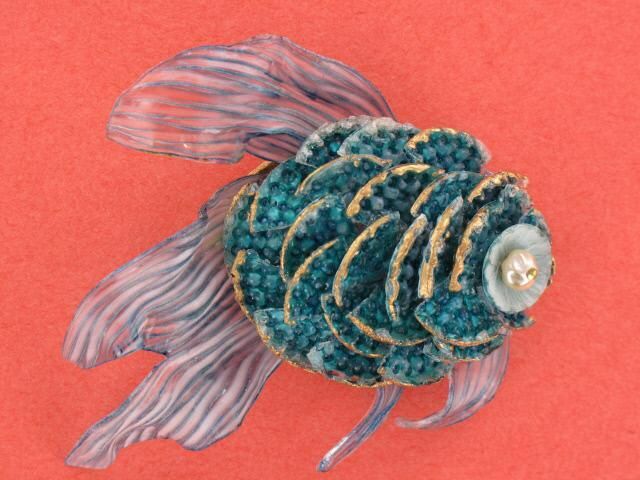 An amazing unreal French fish pin. Made of resin in different shades of blue. I have not seen anything like this made of plastic – it is a sculpture, rather than a piece of jewelry. Measures 3.25″ by 2.5″. Signed on the back “Ciléa Paris”. 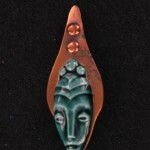 According to Ginger Moro it was made by Védié and is quite rare. Excellent condition.